Description - Fabulous Smoky Mountain Rental Cabins Near Pigeon Forge & Gatlinburg, TN Renting from Volunteer Cabin Rentals gives you great cabin rentals, Pigeon Forge family fun, fabulous mountain views near Gatlinburg, chalet rentals at a location that's near all the action and exciting discounts and specials! 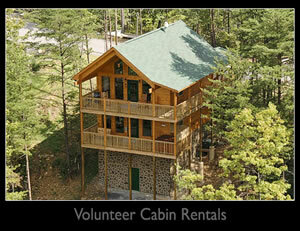 Search below for Smoky Mountain rental cabins today or scroll through our complete selection of rental cabins. 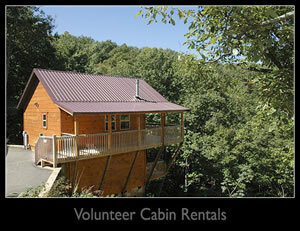 Smoky Mountain Rental Cabins in Wears Valley Offer Convenience & Affordability Volunteer Cabin Rentals offers chalets and cabins throughout beautiful Wears Valley, which is located just minutes from Pigeon Forge & Gatlinburg, TN. 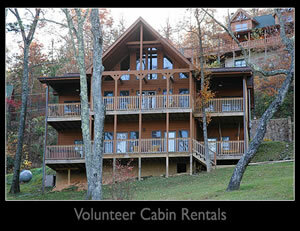 In fact, Wears Valley is often considered part of the greater Pigeon Forge and Gatlinburg region. 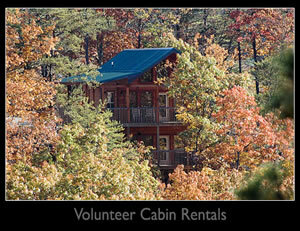 You get virtually the same convenience and natural beauty of cabin rentals in Pigeon Forge or Gatlinburg without the high price. Many of these cabin rentals deliver panoramic mountain ridges, gently rolling meadows, spring-fed streams or heavy woodlands. A quick five-minute drive puts you directly in the hub of the Great Smoky Mountains National Park. Choose from luxury Gatlinburg chalet rentals, spacious Pigeon Forge cabins and family-friendly Smoky Mountain rental cabins, all centrally located in Wears Valley, Tennessee.